I’m having trouble changing the naming series for packing slips. I feel like this might be a bug. 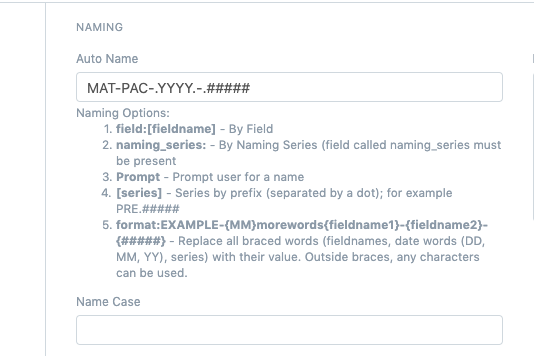 I have changed the series prefix to PS-.##### and when I go to make a new packing slip I do get that as the naming series option but when I save the document it reverts to MAT-PAC-2019-00001. Any idea how I can troubleshoot this? So if you want to select a different series, this will be prevented by the code itself. 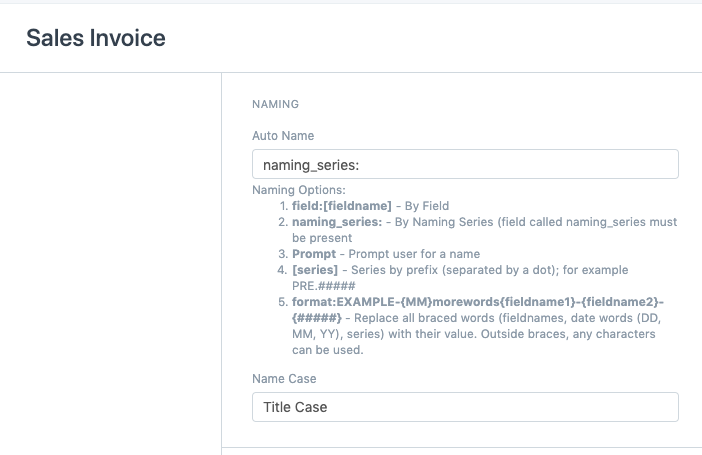 Ideally, if auto-name is tied to a series, the system should not show the selection in naming series as it will cause this issue. Ok, so if I understand correctly unless I change the code I must use the default naming for the Packing slip? I guess it’s not a big deal but to me PS-.##### is easier to understand. Ok, so if I understand correctly unless I change the code I must use the default naming for the Packing slip? As per my understanding, yes. 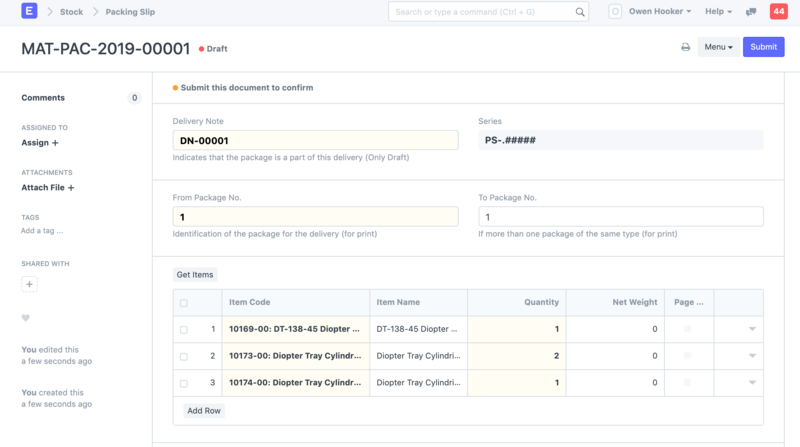 Since the series is hardcoded in the “name” for the document, it can’t be changed unless it is updated to behave like sales invoice, ie, naming set to Series.